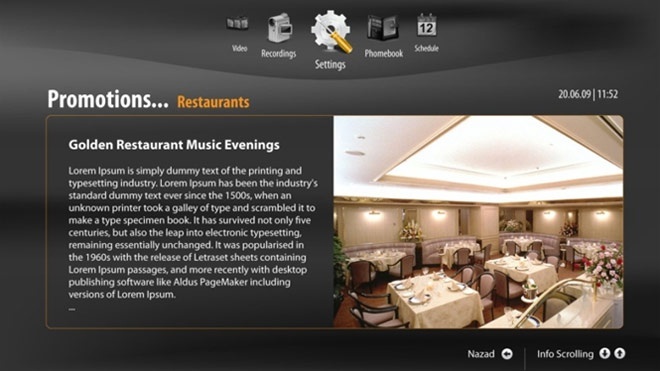 BeeSmart Middleware can be used both in traditional IPTV projects and in OTT-solutions (Internet TV). 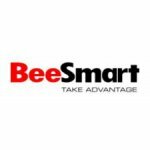 Due to flexibility and modularity, BeeSmartTV platform allows the saving of initial investments – based on "pay as you grow" principle. Thus, the system may be suitable both for large telecom operators and for arrangement of small IPTV systems or hotel business. 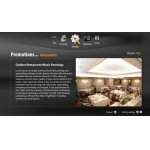 Hotel solutions may utilize such functionality as notification system, greeting of guests, information catalog of hotel, menu browsing and restaurant reservations, ordering system (taxi, service orders, etc.) – using the STB remote control, without leaving the room, directly from TV screen. User-friendly interface, which can be reconfigured according to operator’s requirements. Supported option for independent change of GUI and multilingual interface. Convenient Web-interface of system administrator. Reliable authorization system, which allows the authorization and authentication of subscriber units – with assignment of rights for each user. 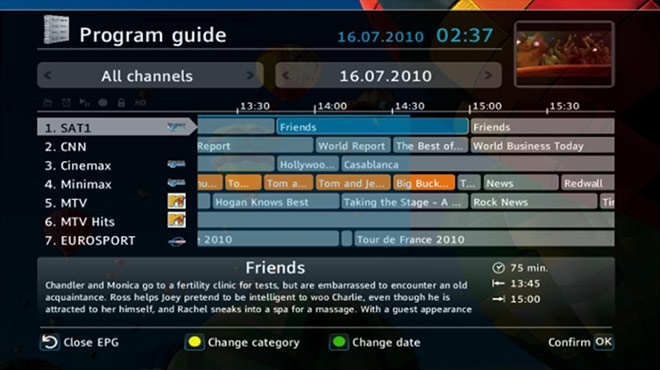 Support of program (EPG) with description of broadcast, fast switching of channels, system of recommended channel list, personalized channel lists for each user. 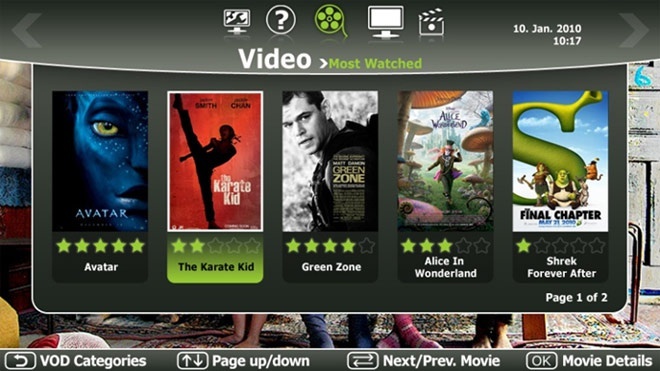 Video on Demand (VoD) enabling the subscriber access to library of video content. 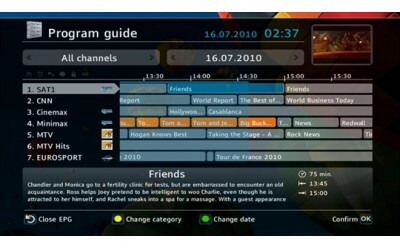 The subscriber can independently choose a program and convenient viewing time. Video files can be conveniently cataloged for easy navigation. Preview option, grading of each film, and recommendation system (based on previously viewed materials) are supported. Parental control – enables the parental control over list of TV channels available for children. 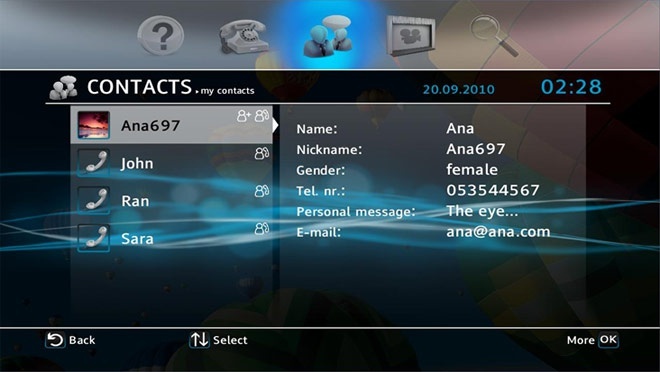 There is an option of creating an account for each family member – with individual list of available channels, optional change of language, avatar, graphical environment, and other parameters. Option of Internet access via remote control (from built-in browser). Integration with VoIP service extends the potential of standard IPTV functionality. 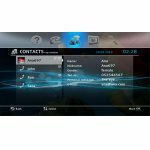 Convenient functions – such as display of info about incoming call, information on dialed, missed, and incoming calls, voice mail – become available from TV screen. Network personal video recorder (nPVR) function enables the record of TV programs and their subsequent viewing at subscriber’s convenience. Option of setting a pause during live broadcast (TimeShift). Support of various game content. Subscriber portal (PC-Client) ensures the access to all services from standard browser (from PC, smartphone or tablet PC). Multiregional and multi-operator feature – option of using a single server by multiple operators. Each operator is provided with own database, interface, and set of services. Support of “PiP” (Picture in Picture) mode. Support of video content with multiple audio tracks and subtitles. Built-in instant messaging between users. Built-in flexible system for management of advertising space – based on subscriber preferences. TV Commerce – option of integration with online stores and shopping directly from TV screen. 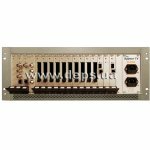 Appear TV StreamCore SC2000 (4U, 16 sockets) and SC2100 (1U, 9 sockets) stations are built on the basis of flexible modular platform, which offers the ample opportunities of adapting the station to specific customer’s requirements. 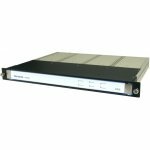 The platform enables reception, descrambling, and scrambling of signal, as well as reception and transmission of streams via TCP/IP protocol. 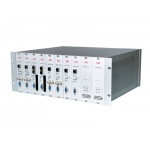 SC2000/2100 can be equipped with various input interfaces, such as ASI, QPSK, DVB-S2, and IP. 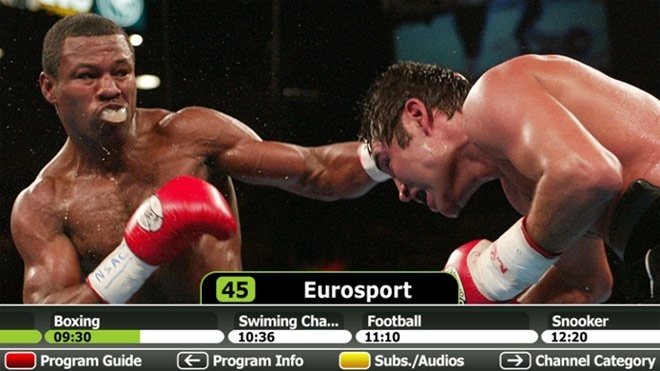 Incoming streams can be descrambled with use of DVB CAM modules or virtual smart cards AES. Also, the station enables analysis and change of content in PSI/SI tables – according to operator’s requirements. Scrambling of streams under AES standard and with use of coding systems (for DVB, prior to issue on ASI or IP output interfaces) is supported.